Home Unlabelled Oregon's Peacoat Gang (@PeacoatGang) Drops "No Pigeons" + Announces Tour With E40, Nef The Pharoah, & More! Oregon's Peacoat Gang (@PeacoatGang) Drops "No Pigeons" + Announces Tour With E40, Nef The Pharoah, & More! 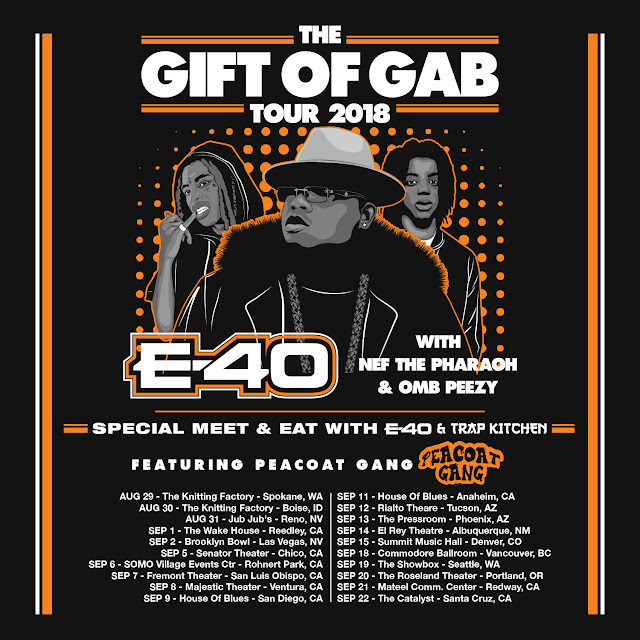 Eugene, Oregon duo Peacoat Gang (Hollywood & Liko) are set to join the All-Star Cast of E-40, Nef The Pharaoh, OMB Peezy, and The Trap Kitchen on the upcoming The Gift Of Gab Tour kicking off August 29th in Spokane, Washington. Celebrating the new tour Peacoat Gang drop their Official Debut Video for the anthem "No Pigeons," produced by Jaycee Beats. Taking the lead, Liko kicks off things with his infectious melodies and auto-tuned vocals. Hollywood smooths things out as both rappers break down what they want and need out of a woman. After an extremely successful run on tour with SOBxRBE, Peacoat Gang is back at it delivering their high energy live show with banger after banger in the tuck ready to drop. Aiming for a goal of 100 recorded songs this year, it's looking like the sky is the limit for Loyal The Soil's new act Eugene-based Peacoat Gang. Watch "No Pigeons" below and be sure to tap with the Gang on the upcoming "The Gift Of Gab Tour."